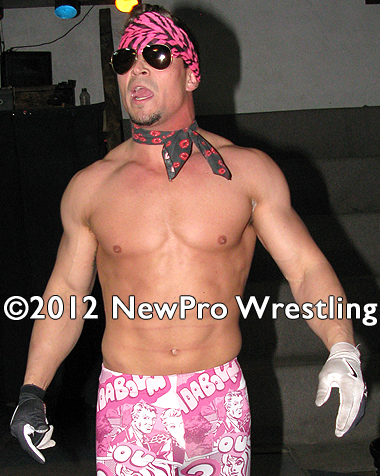 Cocky, flamboyant, and completely ripped Shawn Banks takes on our newest babyface wrestler. 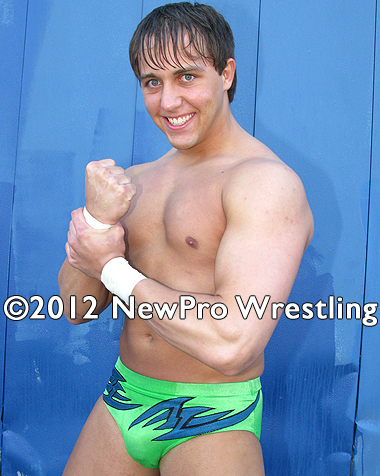 He's a good old boy from the South--"Teen Sensation" Drew Haskins. Megamouth Shawn challenges Drew to a "wrestle off". Both competitors take turns getting down into referee's position and wrestling till somebody can escape. Drew outclasses Banks the first two times, but the third time Banks catches Drew off guard with a kick to the ribs. Drew's temporarily stunned but manages to hit a big dropkick that knocks Shawn Banks clear out of the ring. 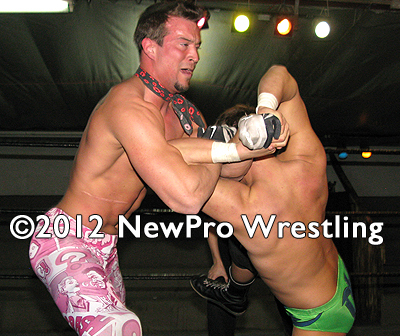 Upon re-entry Drew and Shawn exchange holds until Drew repeatedly "pink bellies" Shawn while he's in a modified headscissor. This highly entertaining match is filled with hip tosses, arm drags, shoulder tackles, old school flying headscissor takedowns, banana splits, full nelsons, abdominal stretches, powerslams, and other high impact slams and bone-breaking holds. Both grapplers hit simultaneous clotheslines that nearly knock each other out, from here on out it's an all-out battle of who can withstand the most punishment and bounce back to deliver more of their own. A shocking finish!